It was a farewell like no other. Tears shed and emotions overflowed as racegoers bid their final farewell to the great mare Winx. All present at the track, throughout Australia and across the globe, knew they had not seen any horse like her, and likely not ever again. It was a privilege and a pleasure to witness the great mare in our lifetime, and her final race was a demolition job like others before it, seeing off yet another field of Group One performers, totalling 83 in her entire career. Winx put the final stamp on her stellar career by winning the Group 1 Queen Elizabeth Stakes at Randwick and in so doing equaled the immortal Phar Lap’s 37 victories. It was fitting she did not pass the Australian legend as it would have led to meaningless comparisons of the two horses almost a century apart. This was not a time to wax about turf legends but just to enjoy and savour this present life memory. It was not only her third straight win in the race but her 33rd consecutive victory that has seen her prevail again and again over the best Australia has to offer. Winx became the highest stakes winner ever in world racing, with $26,451,174 in earnings. She also retires with a world record 25 Group One victories which, aside from the Queensland Oaks, were competed for exclusively in Sydney and Melbourne. The Queen Elizabeth Stakes win gave trainer Chris Waller his 100th win at Group 1 level. A phenomenal achievement. “It has been amazing to be a part of. I am a small cog in the wheel,” an emotional Waller said. Peter Tighe, managing part owner, was proud that the star horse ended on the best possible note and praised his trainer for his expert handling of the daughter of Street Cry. Jockey Hugh Bowman expressed his honour to being able to ride the world’s best horse. Winx has also won a lot of money for punters over her career. 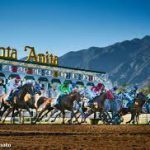 Big bets of upwards of $500,000 have been placed on the mare, for the miserly profit of around $30,000. However, there has been no smaller financial risk than betting on Winx. A $230,000 yearling buy in 2013 from the Coolmore Stud draft at the Gold Coast Magic Millions sale, Winx was sold on behalf of her breeder, Fairway Thoroughbreds – the property of John and Deb Camilleri. She is the second foal of the stakes-winning Al Akbar mare Vegas Showgirl – a winner of seven races, including two at two. Vegas Showgirl was herself purchased for $455,000 as a broodmare prospect from Dormello Stud. While her racing days are over, connections and fans have plenty more to look forward to. Winx will now embark on the next stage of her career, motherhood. Owners are yet to discuss possible suitors for Winx, however what is certain is that there will be no shortage of applicants. 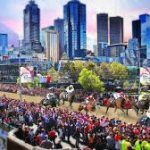 Held every year in November, there is no bigger horse race in Australia than the prestigious Melbourne Cup, as the horse racing world turns its attention to the event. 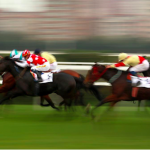 As such, there is a whole lot of betting action and buzzing going on, including the horses’ odds, the Melbourne Cup betting tips, bonuses and betting promotions created especially for the race. Be sure to check out this extensive Melbourne Cup betting guide in order to take part in this mega event. The Casino City shows you the best casinos to play in New Zealand, get no deposit bonuses + free spins and start playing! Any inquiries or concerns? Please feel free to contact The Mayor. © 2019 Thoroughbred Village. All rights reserved.